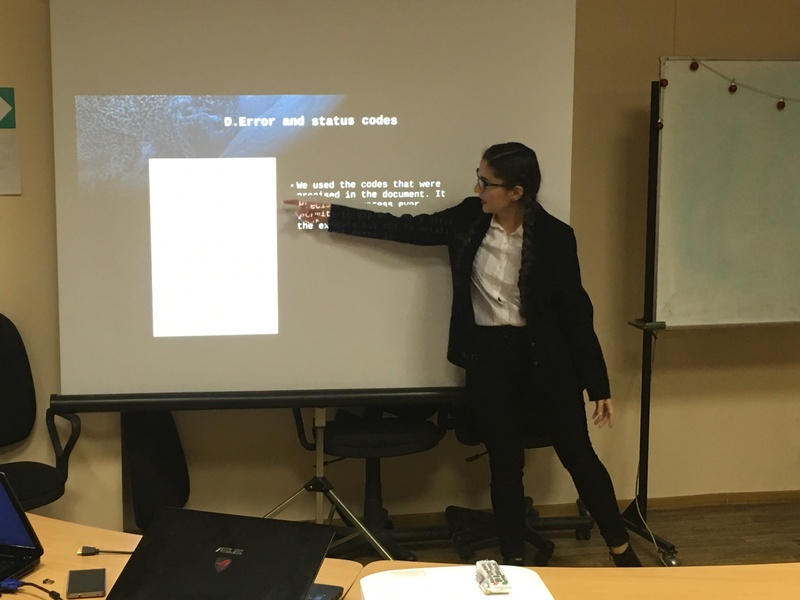 Students from the leading aerospace universities of Europe are being trained in the IHPCNT starting from 2016. 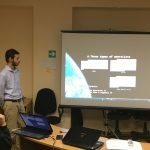 This time, in the fall semester, four French students were trained on the basis of the Aerospace computer and software systems department: Mailys Robert (IPSA, Toulouse), Nathael Robert (CESI, Lyon), Lucien Durand (IPSA, Paris), Fabien Bruzzi (IPSA, Paris). 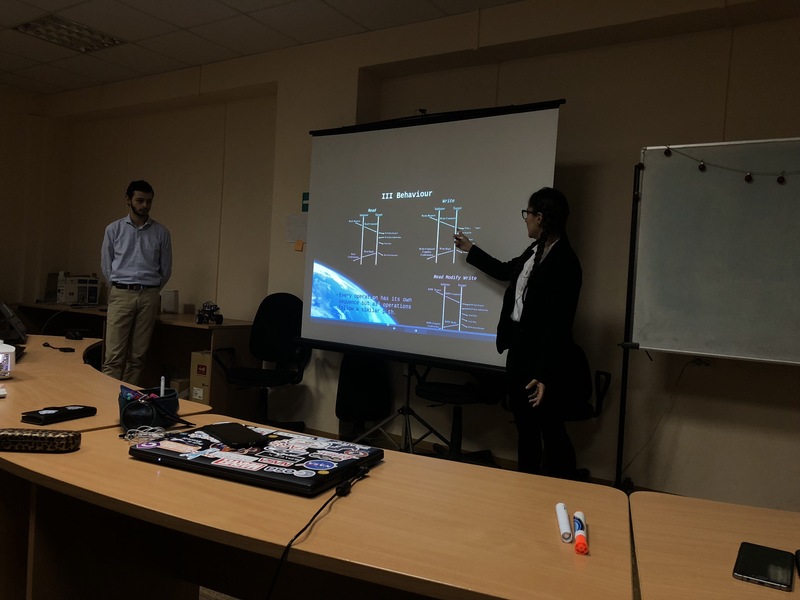 On December 21 the department #14 held a projects defense. 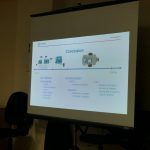 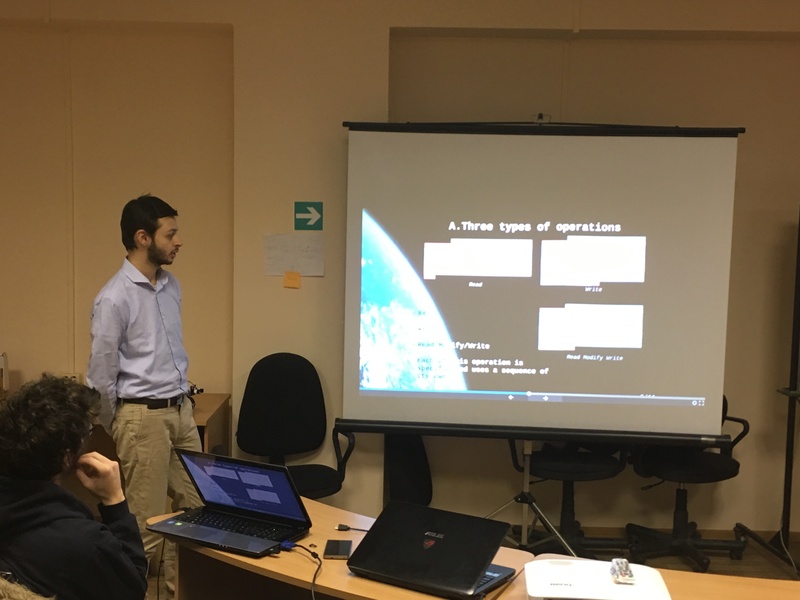 The defense was hosted by the head of the department, the director of the institute VKIST Yuriy Sheynin. 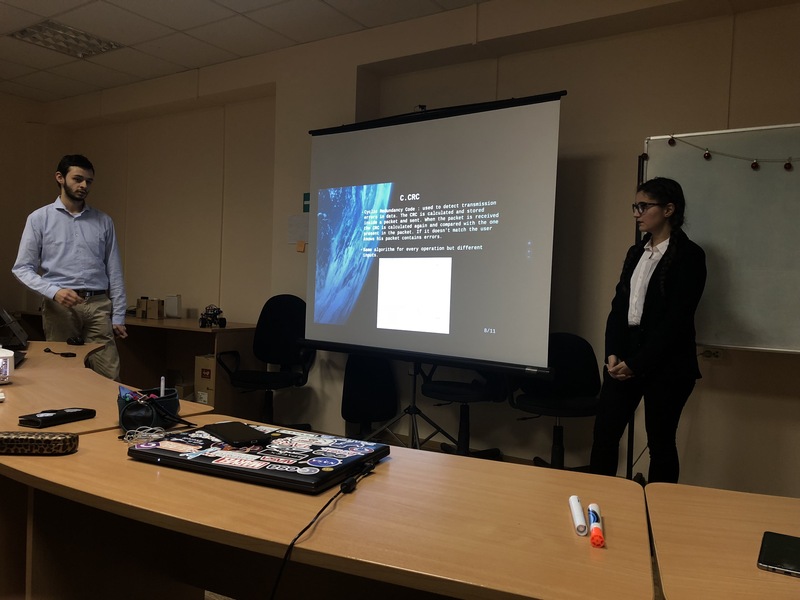 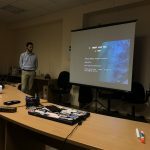 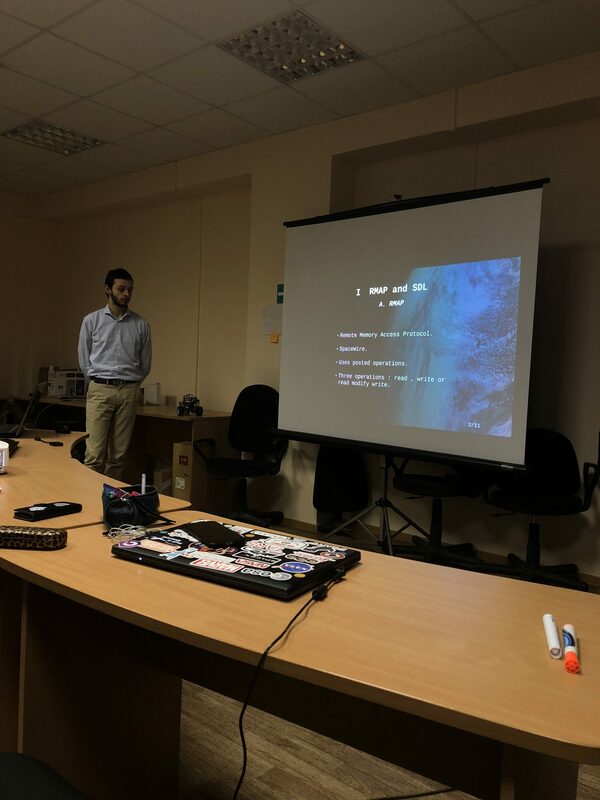 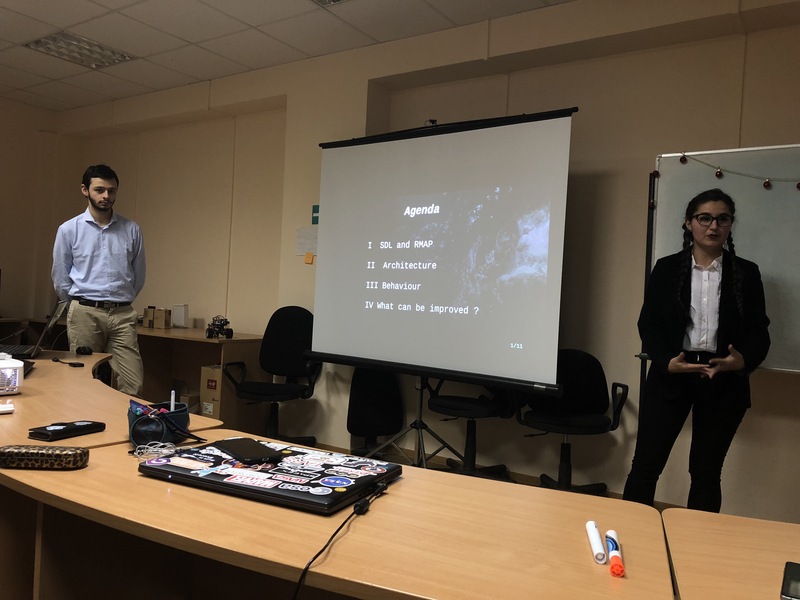 Mailys and Nathael presented the RMAP protocol model creation for on-board networks, they demonstrated the simulation of the operation of two nodes operating via this protocol in a Network. 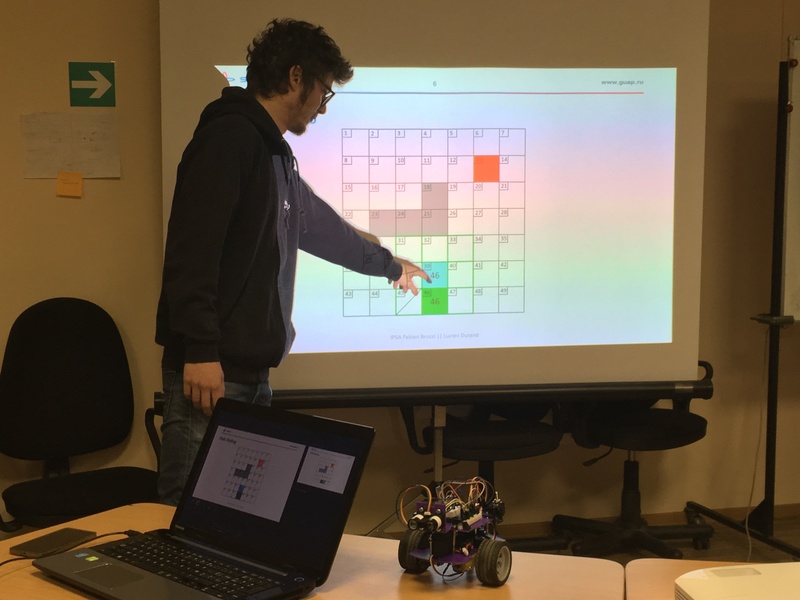 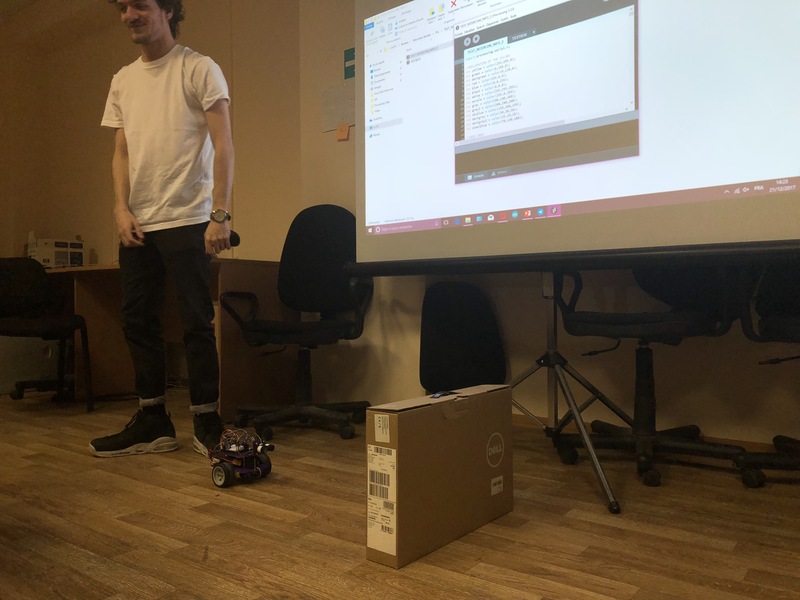 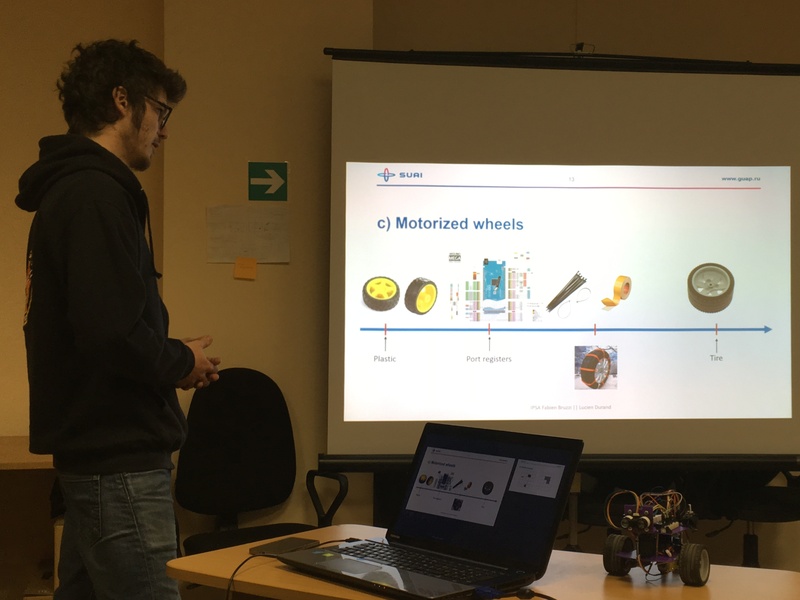 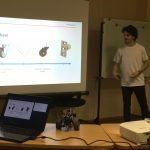 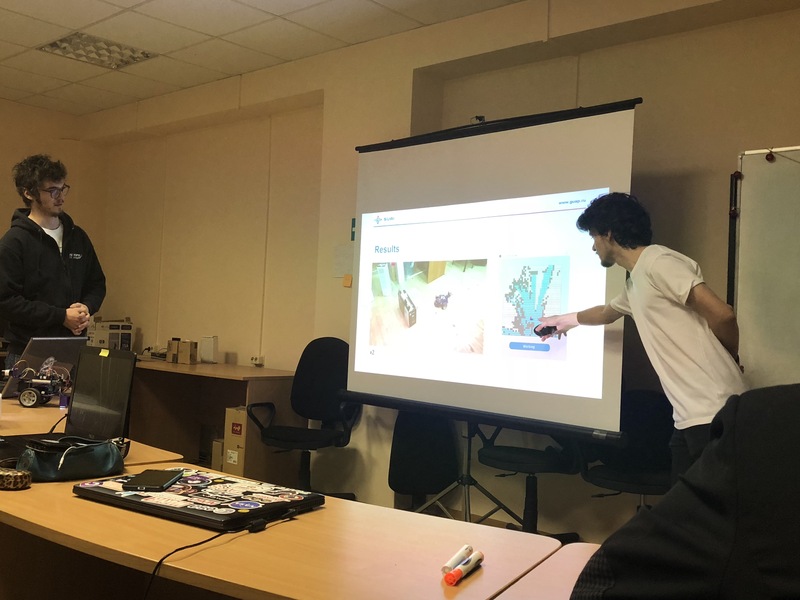 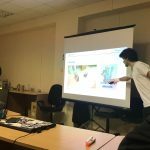 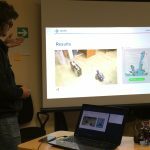 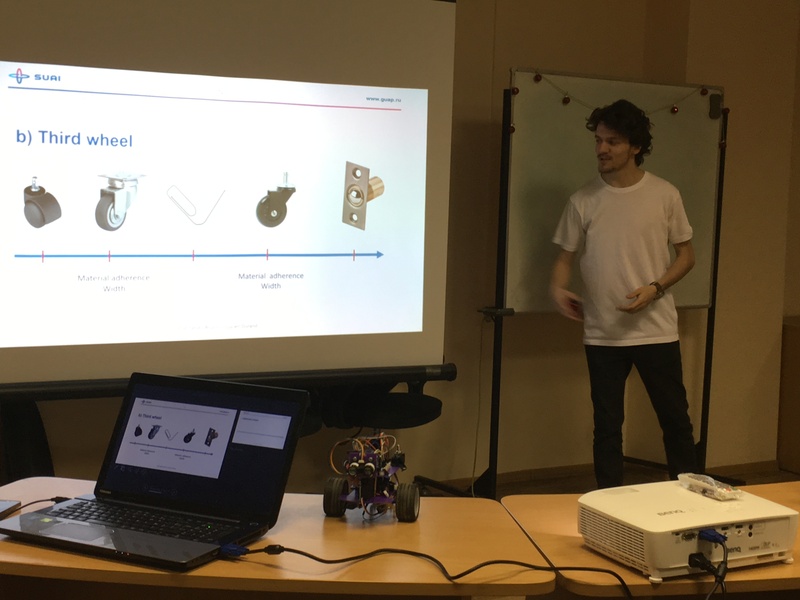 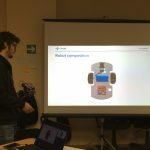 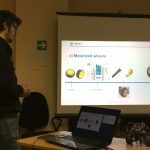 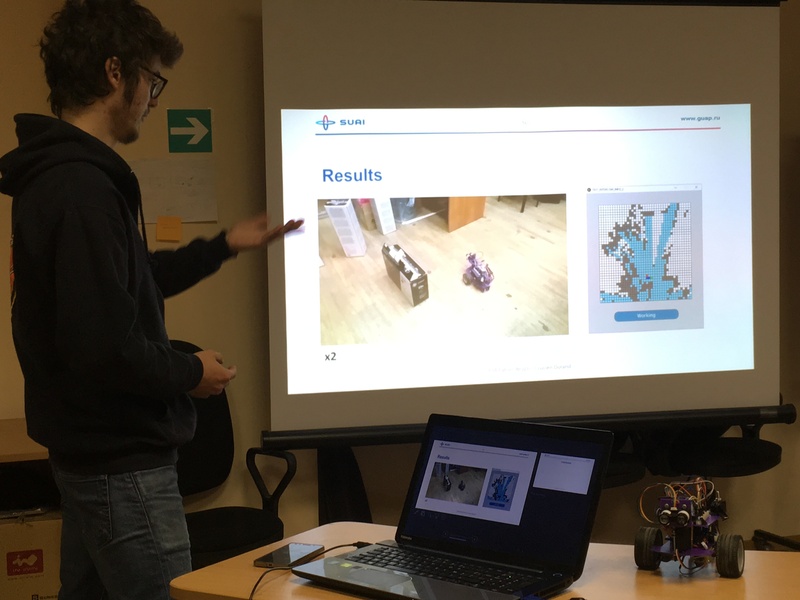 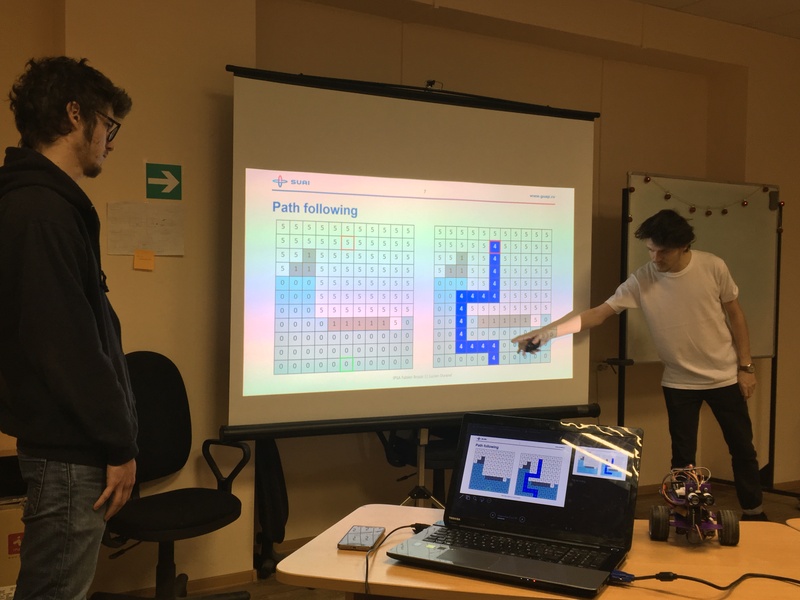 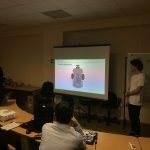 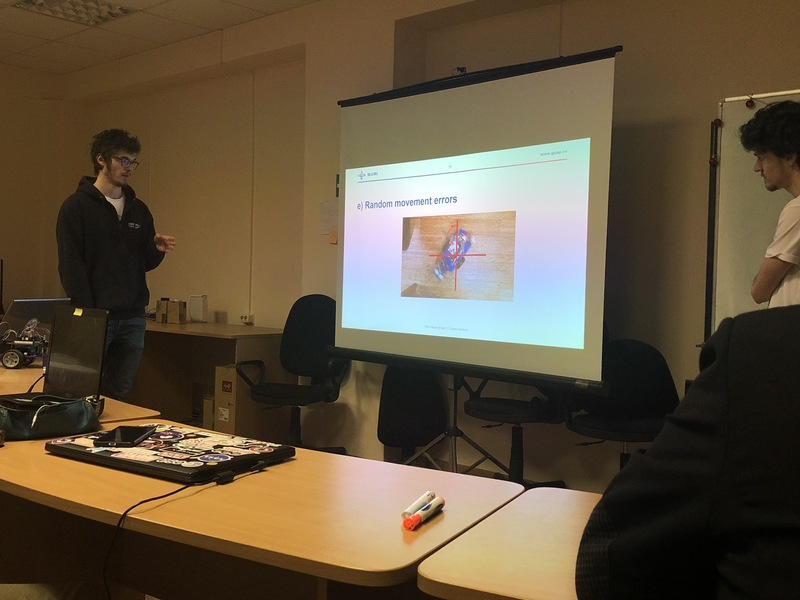 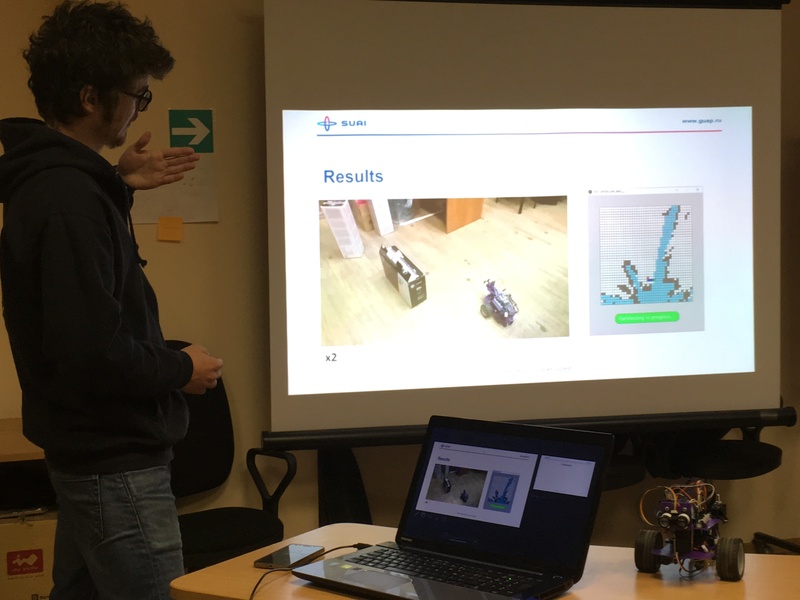 Lucien and Fabien described how the implemented robot builds a map of the surrounding space, traces the route of movement with allowance for obstacles, fulfilling the tasks assigned to it; what problems they encountered with during the implementation and how they eliminated them. 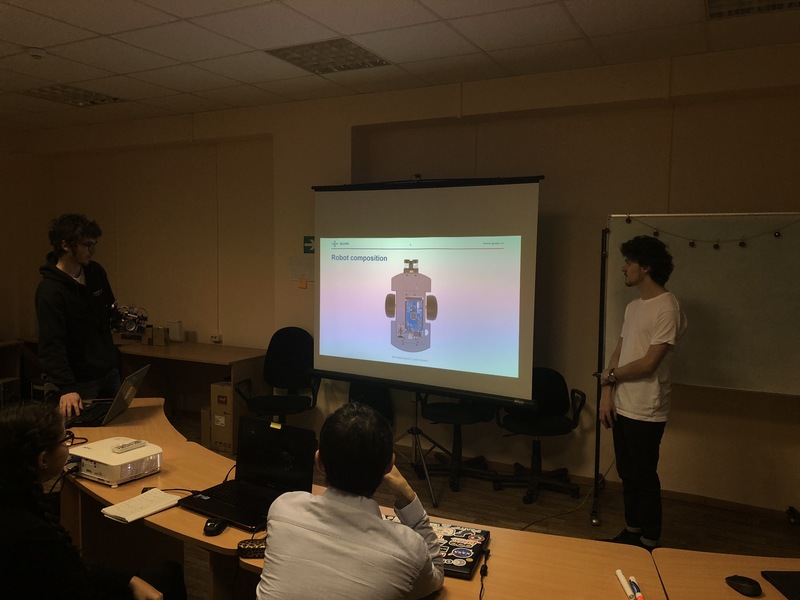 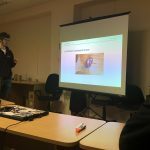 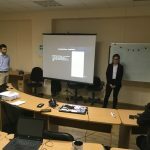 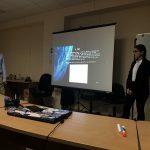 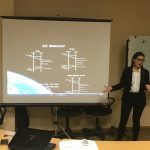 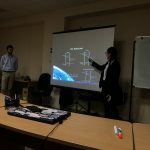 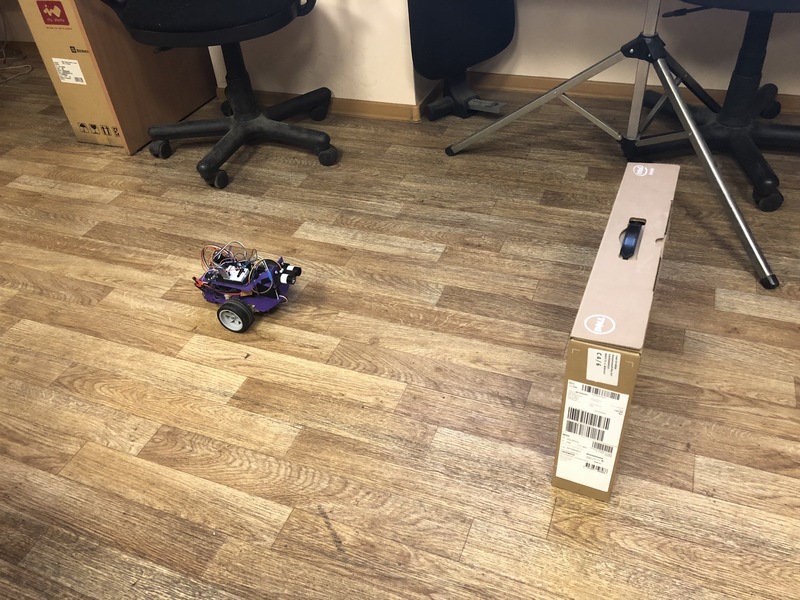 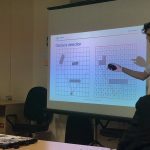 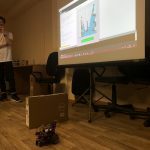 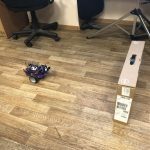 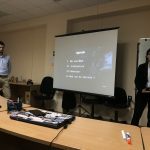 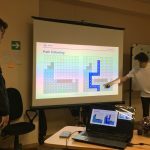 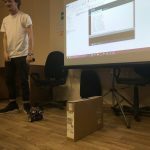 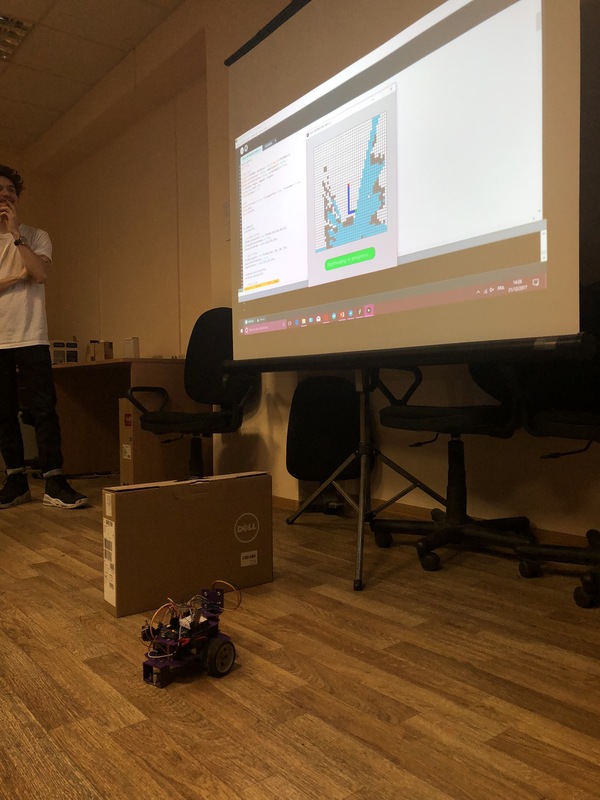 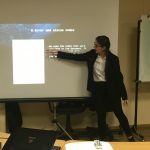 At the end of the defense, students made a demonstration: the robot built a map of the surrounding space and successfully completed the task assigned to it for navigation in a confined space. 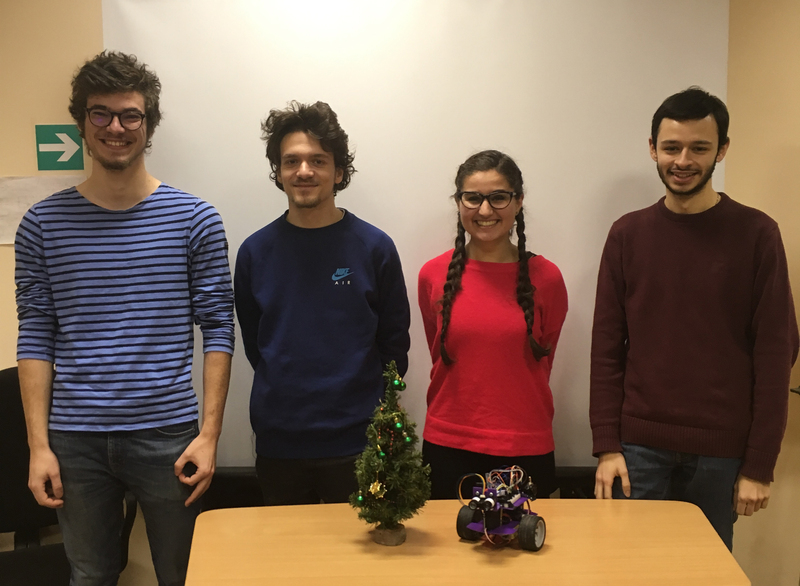 Congratulations to the guys with excellent defense of the projects and wish good luck on the exams in January!